Can anyone read it or do you know what purpose it serves in the NHS? Many thanks to Bob Killen (@MrBobbyTables) who managed to read it using Symbol barcode reader. It contained personal info (name & DOB) plus hospital number and NHS number. Bob was unsure which code-base they’re using but mentioned it has to be one of the ones listed here for the 4600g. 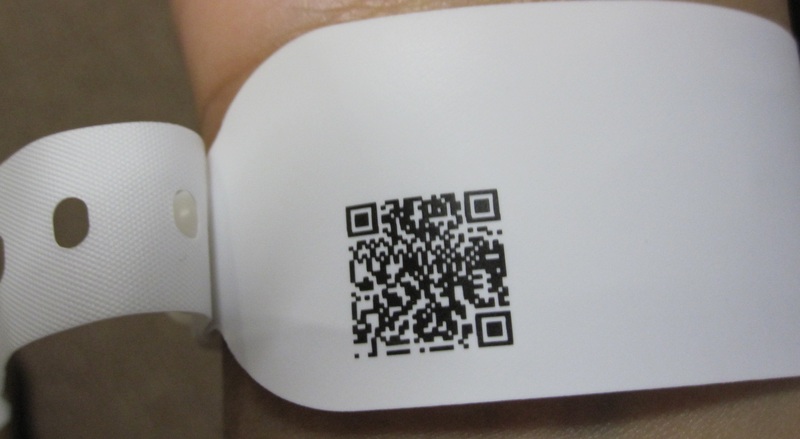 They scan your bracelet to record the meds they’re giving you. They still have a barcode because there are a couple meds that still need a barcode scan first. 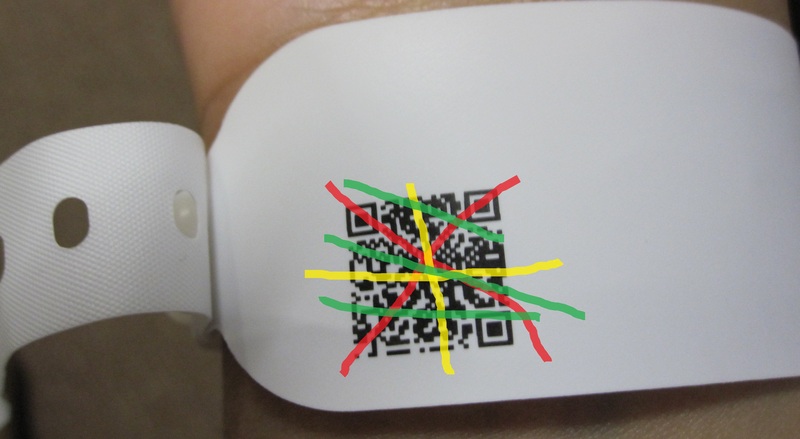 A lot of hospitals just have a bracelet with the entire thing covered in repeated QR codes. That way its easier to scan, they just scan any part of the bracelet and it picks up, as opposed to having to get directly over the bar code. Thank you Grace for the explanation. It seems that maybe different hospitals are using them for different purposes.